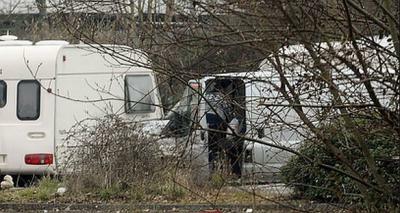 The arrival of unwelcomed visitors and caravans can cost time and a huge amount of money removing them from private land and clearing up the very unpleasant waste and rubbish they leave behind. In August a group of 16 caravans and vehicles moved onto private land around a vacant factory on the Witham Industrial estate “over” the concrete bollards. The swift action of the estate manager supported by the directors of WIW, contained a potential long term issue. Essex Police issued a Section 61 Notice and the WIW Estate manager issued an Eviction Order, on behalf of the landlord, in the presence of senior police officers; the unwelcome visitors left 48 hours after their arrival. 48 hours, when local businesses, WIW and the Police were on high alert. The cost to the local businesses and the community is difficult to calculate at this stage: it includes Police time, the WIW time and now the ratepayers as Braintree District Council’s clean team who will clear the rubbish and the filth. However without WIW’s contingency plan and the support of the Police these “visitors” could have stayed for weeks not hours.